Baba Chuck & entourage…from this point on the energy begins to build gradually to a feverous pitch. You had to be there to believe the magic of the moment(s). 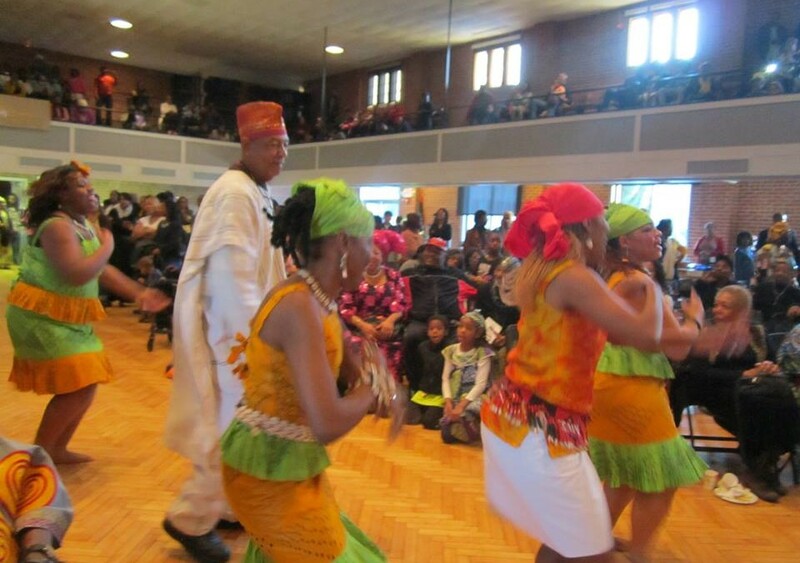 The GIFT OF KWANZA: Lesson this year – as it has been for many years, is That we cannot discard, reject or jettison any single person or spiritual group in our community. We are learning to tolerate and accept each other for who and what we are. We are learning ever so slowly to agree to disagree, and to forgive old grievances and move on. So.in this alien land ..we are all healing (slowly)… and finding our way back to sanity and eventually to the God who beckons to us in all of our diversity, temperament, and proclivity. 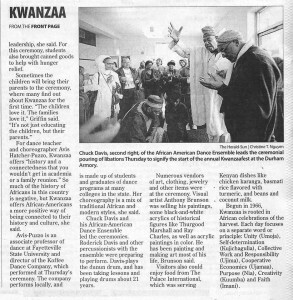 ‘Certainly and without doubt There is a Balm In Kwanza to heal the Weary soul.’ There was enough energy in the hall to recharge 10,000 human batteries. No doubt about it, the spirit of the Almighty, the ancestral spirits, and the angels were all there present and accounted for. A Joyous Day In Durham. To be amongst happy people, friends, family, from all Tribes, Denominations, belief systems. Proof that It can Happen if you try.